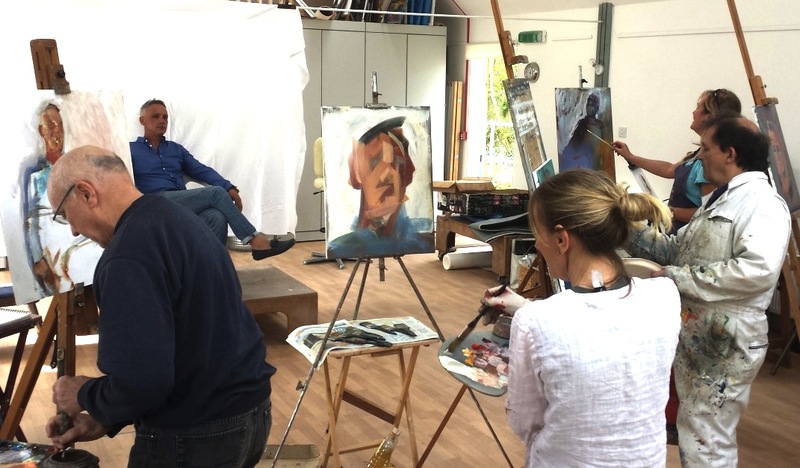 Join local artist Lucy Stopford and the Friday portrait painting group. Please note this workshop has moved to another local venue for some weeks. Contact Lucy for more information. You can work in a medium of your own choice directly from the model. There are four 1/2 hour sessions with a short break in between and a longer break for lunch. The workshop is untutored, and while each artist pursues their own individual style they also always find inspiration from working alongside one another in an environment of mutual concentration and encouragement. The portrait group meets most weeks with breaks during school holidays. Bring your materials and supplies and create in the calm tranquility of the studio. Easels, tables, chairs are provided for you to work on should you need them. which includes the cost of the model. Free tea, coffee & biscuits are provided over the lunch break. For more information and to book, please contact Lucy Stopford on 07753116650 or lucystopford@btinternet.com.